Because they are awesome and organize great events! So, yesterday I went to a group meeting organized by my very distant upline (for those of you not familiar with the term, my upline is the person who recruited me to be a demonstrator). 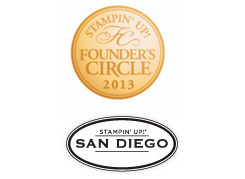 It was for everyone in her group of Stampin’ Up! demonstrators and their recruits. 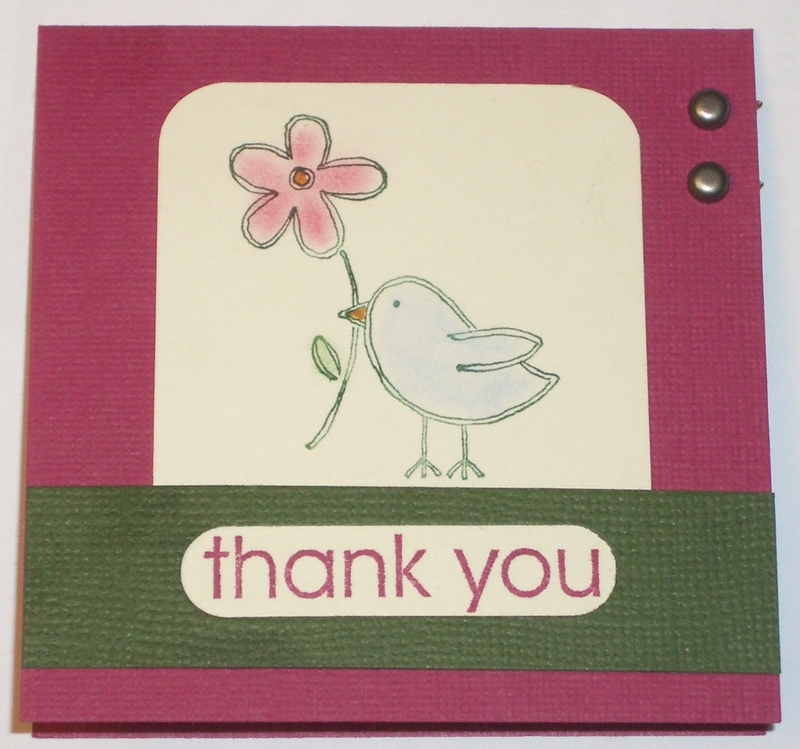 It was a day of stamping, swapping, sharing, and learning – and it was awesome! I met a ton of cool people and came away with some great ideas and some cool projects. I just had to share some of the neat stuff. First off, besides all the great tips and ideas my uplines gave me - they also gave me gifts. 🙂 And who doesn't love presents? Thanks Heather, Karen, and Holly! Then, in the morning, I got to try my hand at making a few quick make and take projects myself. We got to make a card, a 6x6 scrapbook page, and use the BigShot to make a basket and a card. Each of these was easy but fun to make. I also took a set of cards to swap with other demos at the event. I procrastinated terribly and didn’t end up starting to design the card until Friday night! 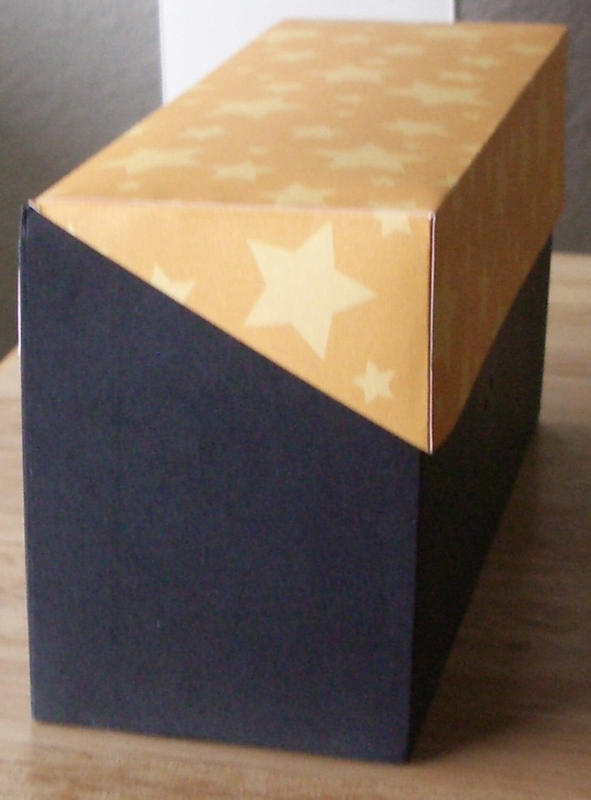 However, after a couple hours of designing and constructing, I think I ended up with a pretty cute card. What do you think? Last night was both a technique tuesday and a historic presidential election. So, we ended up combining the two events into an election watch party in the living room and technique tuesday in the dining room. 🙂 We had a small group but had fun trying out a few different ways to add texture and interest to your projects with embossing. I just had to share the cute cards we made. The second card we made used embossing as a color resistor. 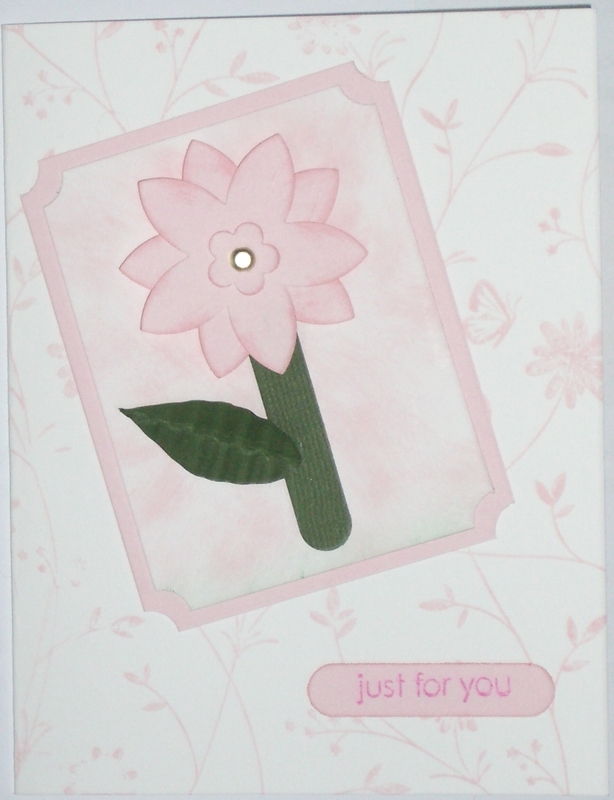 We first stamped the flower images using versamark and then embossed with clear embossing powder. 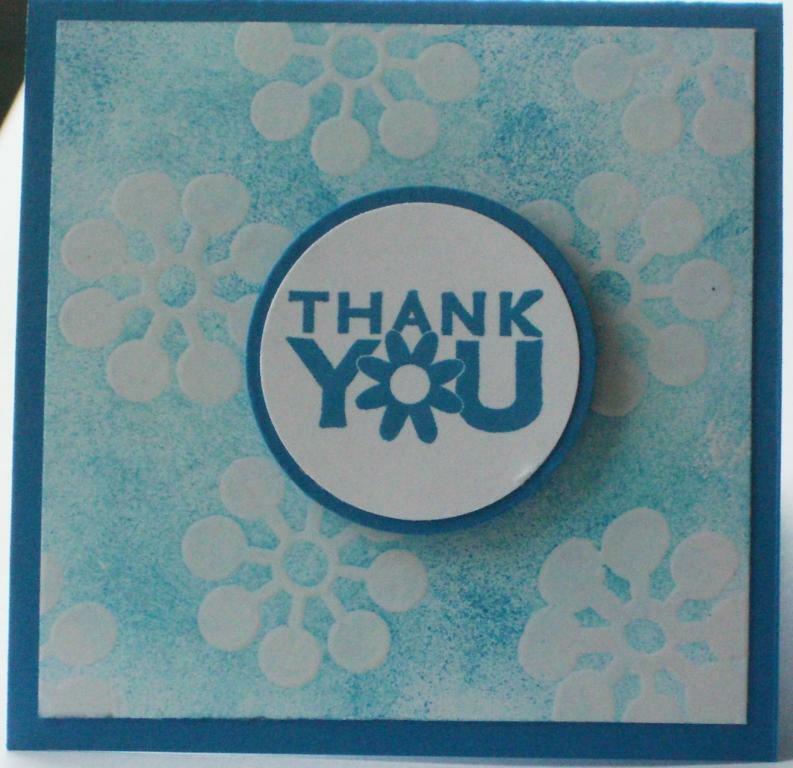 Then we were able to sponge on top with baja blue and pacific point inks to bring out the embossed flowers. 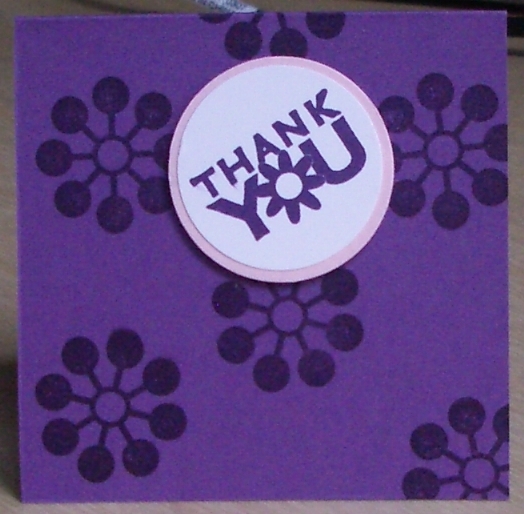 Finally, we straight stamped the thank you image, punched it out, and used a dimensional to attach it to the card. Very quick and very fun. 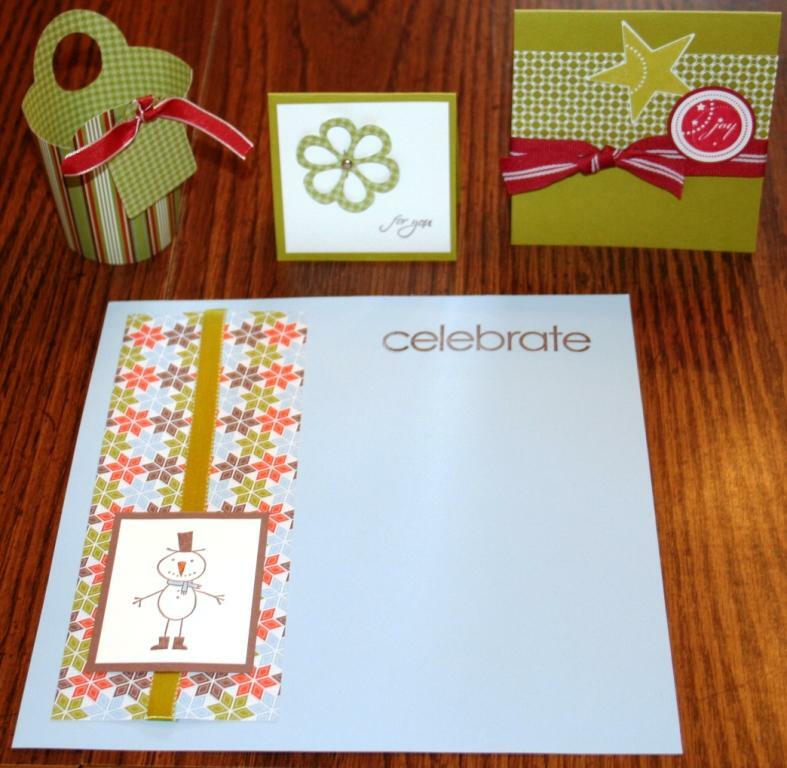 November’s Technique Tuesday is Heat Embossing! Every first tuesday of the month I offer a technique class to give you a chance to try new things and learn more about some of the techniques you have seen in pictures or on samples. This month we will be trying out heat embossing. 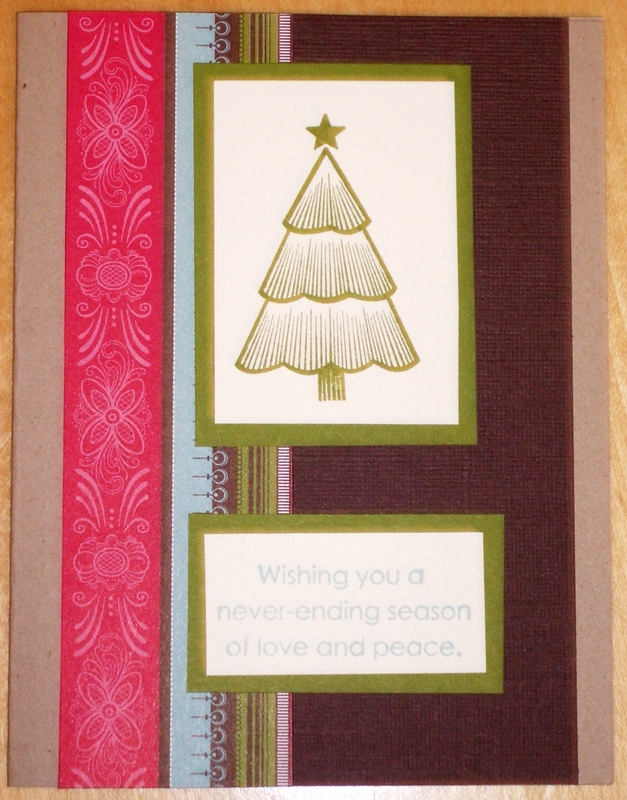 With embossing, there are two methods – dry embossing and heat embossing. 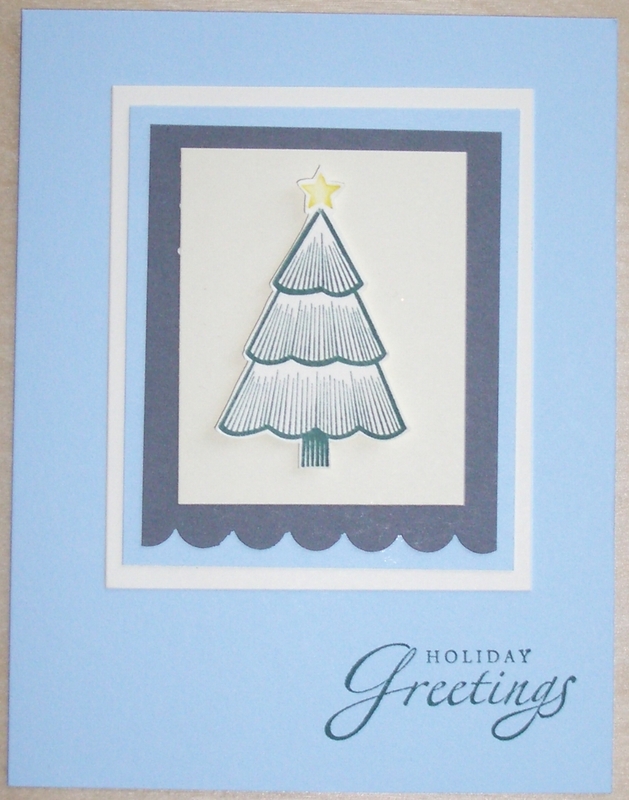 With dry embossing, you use some type of metal or plastic template with holes cut out. You place your paper over the template and then use a ball-tipped stylus to press your paper into the holes, creating a raised image in the shape of the template. 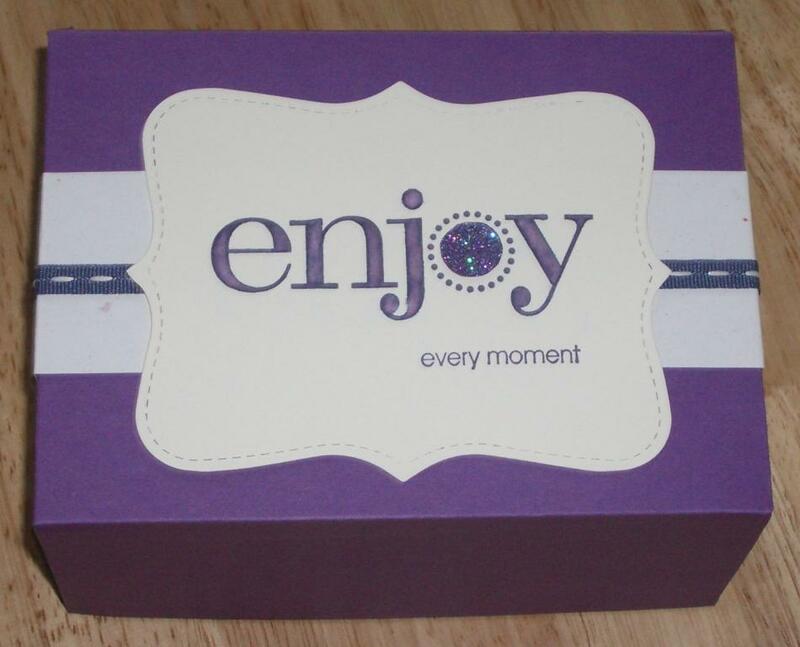 With heat embossing, you stamp an image and then sprinkle the wet image with embossing powder. The embossing powder sticks to the wet ink and when you apply heat with a heat gun, melts into a raised image in the shape of the stamped image. There are a few different ways you can use heat embossing, whether to create an elegant shape like what is commonly done for wedding invitations or to act as a color resist when adding more stamps or ink to your paper. Join us Tuesday Nov. 4 at 7pm to try it out for yourself. Cost -$5. Email me at stampingwithjennifer@gmail.com for more details. 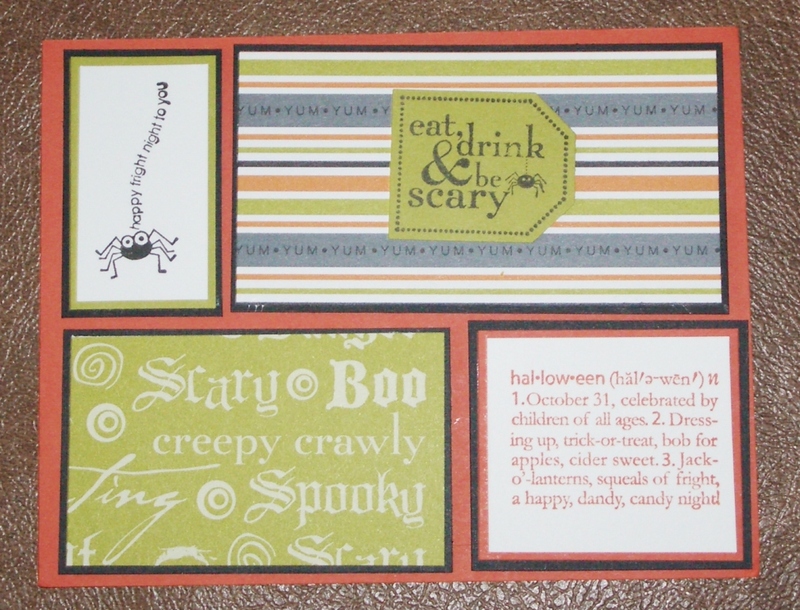 So, a couple weeks back I participated in a card swap based on the Stampin’ Up! 2008 Holiday Mini catalog. It was myself and 9 other SU demonstrators designing cards using the new stamp sets from the Holiday Mini and then mailing them in to one person who would then mail back one of each design to the participants. What a great weekend! The weather was great, and the company was fantastic. 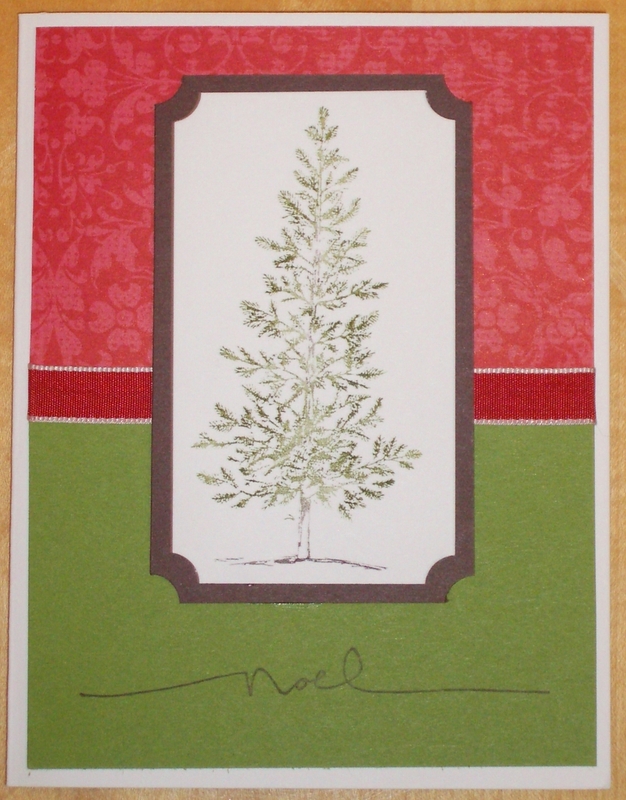 We had a small group of ladies come over for a mega-holiday card making event. I am always so impressed to see the creativity that comes out of peoples at these events! We had a bit of a late start and so most folks didn’t make it through all of their cards, so we are having Card Day-part 2 this wednesday night! 🙂 Looking forward to it! Also this weekend, my mom came down and brought her BigShot and tons of great ideas! So we spent Sunday playing around with the BigShot and watercoloring and I can’t wait to get some of the samples up online to share. Unfortunately, my camera was missing its memory card this morning so I have to wait until tonight to take the pictures. 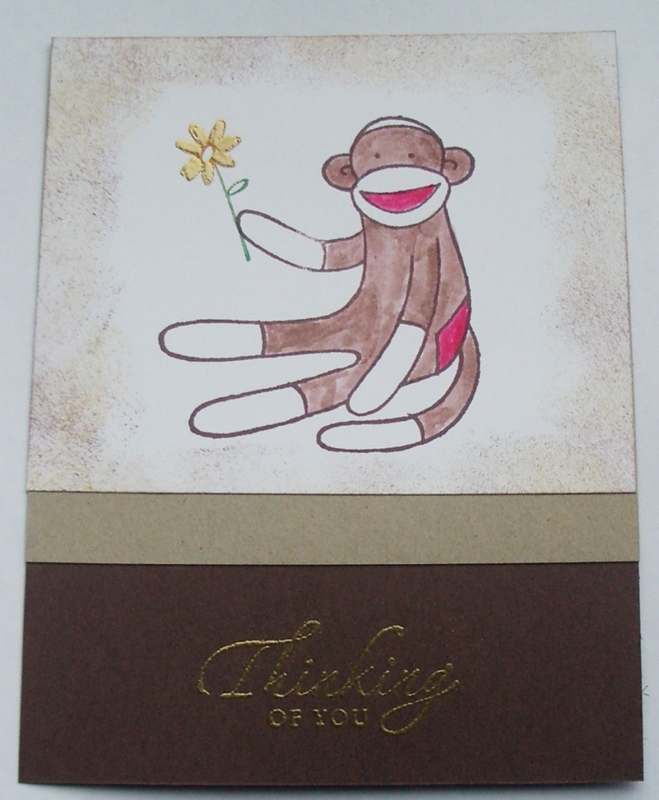 However, in the mean time, here is a card I made to thank the ladies that placed orders recently. 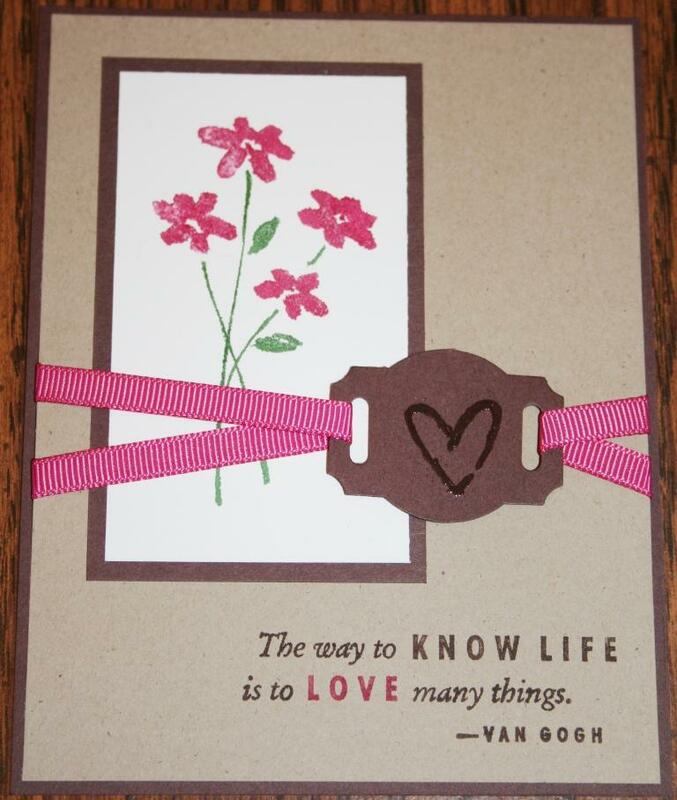 It is a quick and easy card to make (seriously, these are 5 min or less cards) and use the Wow Flowers stamp set that goes with your Flower Power Simply Sent card elements kit. Ok, so in my last couple posts, I’ve shown a bunch of different designs 5 of which be the set we do at the Holiday Stamp-a-Stack this saturday (space still available, email me to join!). 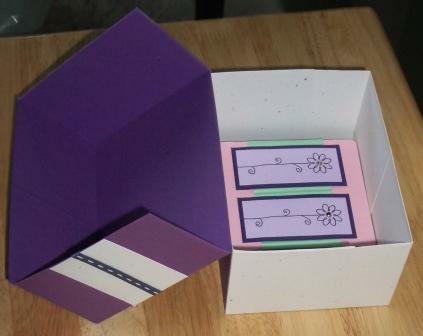 I’ve also mentioned offering a card kit for those folks who can’t attend the workshop this weekend since I know lots of folks are busy or live further away. 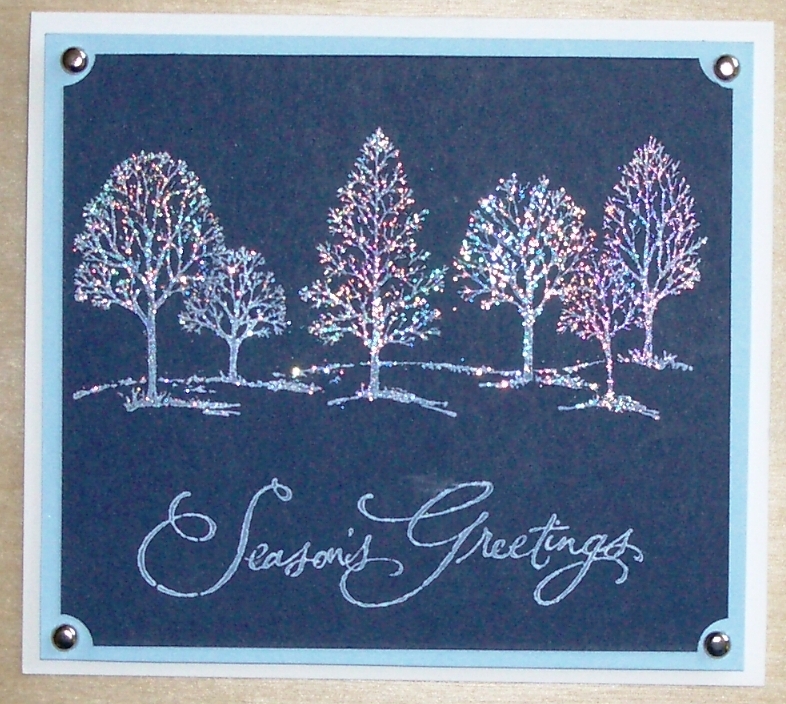 After reviewing the cards we are doing at the workshop, I realized that one of the cards (the Seasons Greetings glittery trees) is a bit hard to do in a kit unless you have some specific supplies at home already. So, I’m changing up a little the designs for the kit. The following are the default cards for the DIY kit. However, if you have a favorite card that isn’t in the set, just let me know and we can look at swapping it in. 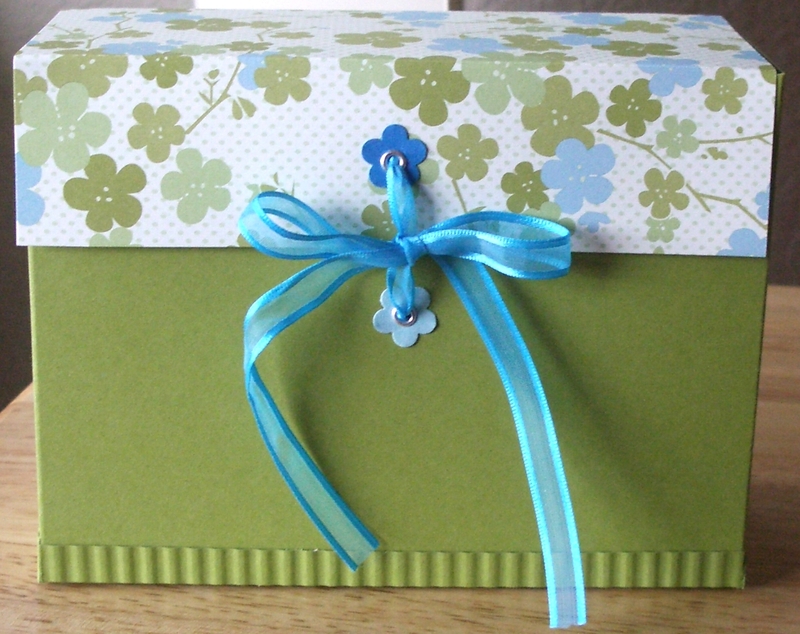 Kit includes: precut paper, envelopes, accessories, and instructions. Cost – $20 plus free shipping. 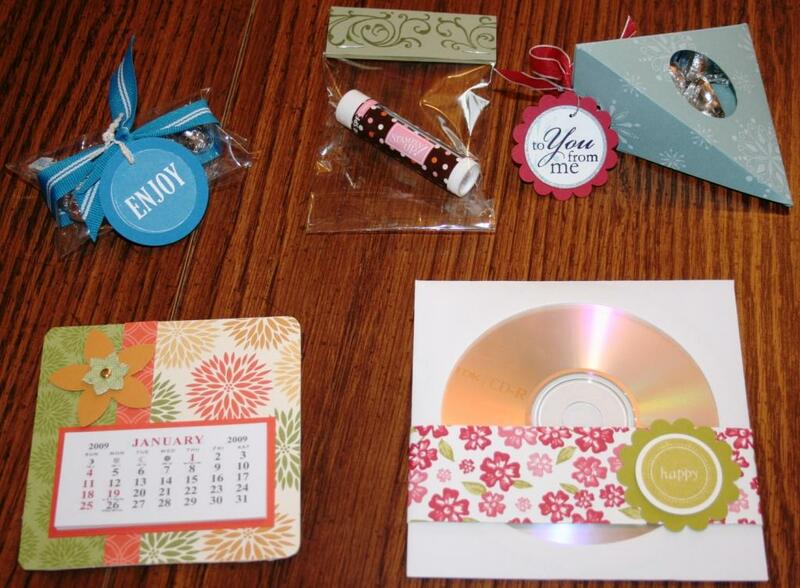 Email me at stampingwithjennifer@gmail.com to order your kit today! I told you I had more sketches than necessarily for the Holiday Stamp-a-Stack this Saturday but I decided to make them up anyway. Unfortunately I spent way to much time last night trying to figure out how to make one of my sketches work (it never did end up working) so I only got through four more cards. However, I think I’ve made up some cool designs so between yesterday’s cards and today’s cards I think I will have my 5 cards picked out. Just a reminder, please RSVP if you want to come to the workshop or contact me to let me know if you want a card kit. The current plan for the 5 card designs are the 3 from yesterday, happy holidays above and seasons greetings above. Leave me a comment if you want to vote for a different set of designs! 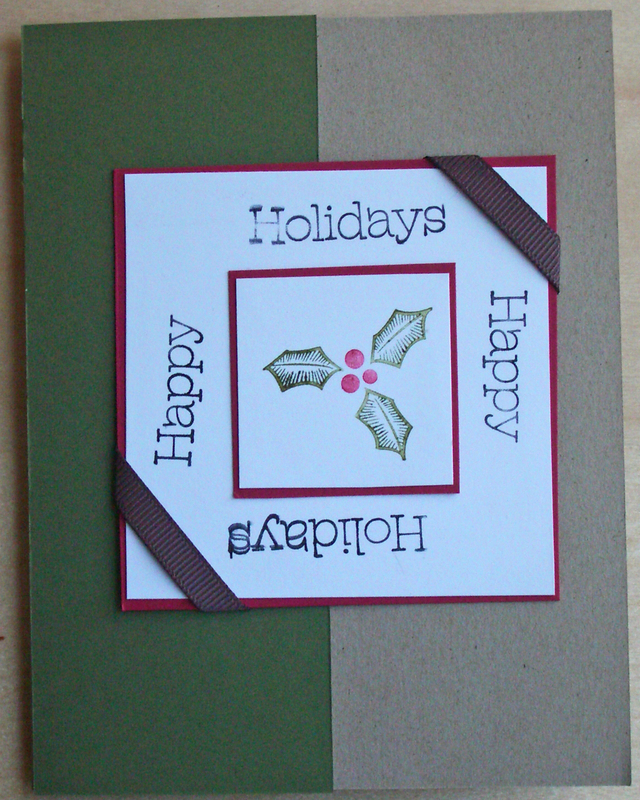 So, Saturday is the holiday stamp-a-stack and I have been working on creating samples for some of my sketches. Last night, I was planning on getting them all done, but then I remembered I needed to finish glueing together the cardfronts for a card swap I’m in, so while I got all 11 of those cards done, I only got 3.5 cards done for the workshop on Saturday. 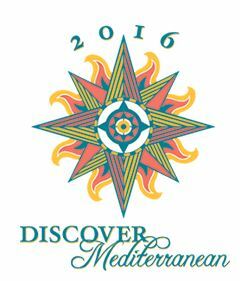 There is still room in the group on Saturday, let me know if you would like to join us. 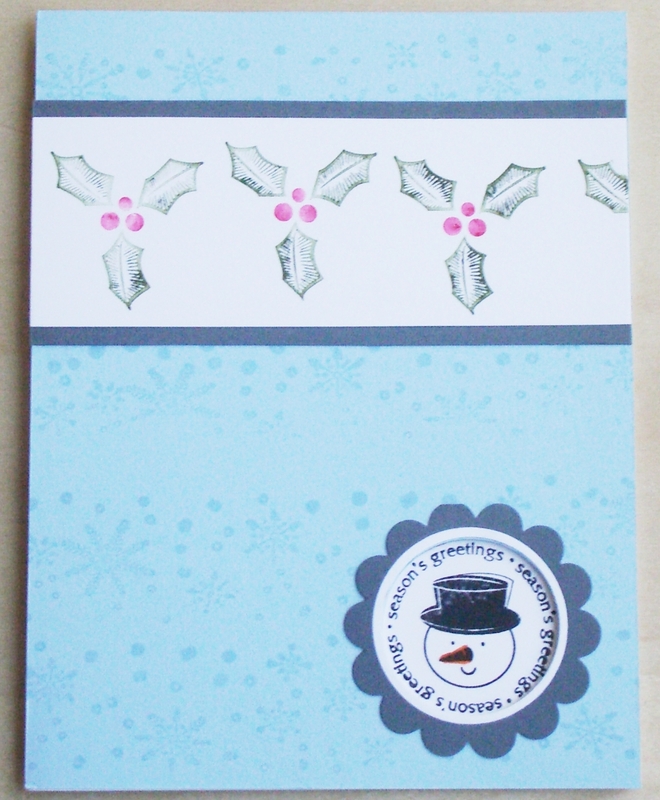 I will also make card kits available if you cannot attend in person but want the supplies to make them on your own. 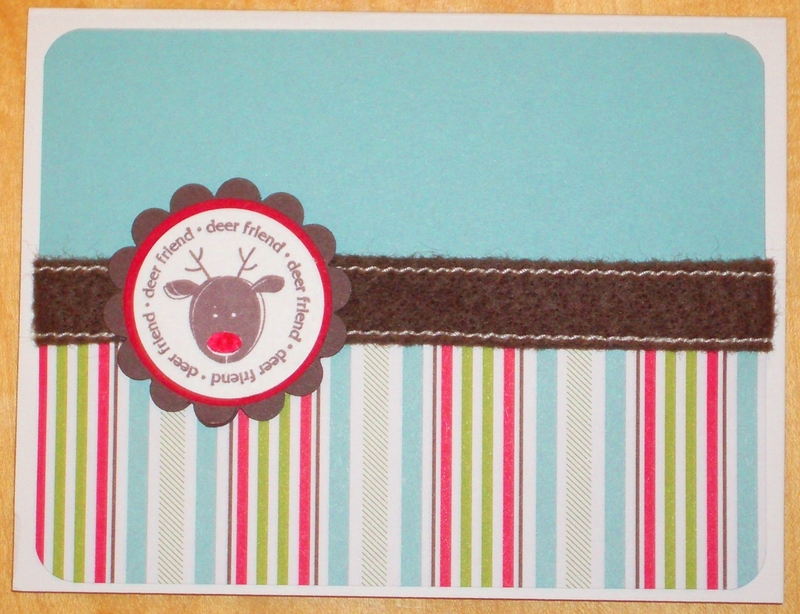 Cost for the kits is the same as the class – you get all envelopes, precut supplies, and instructions for creating all the cards plus free shipping! I’m still finalizing the set of cards we will be making but here are 3 very likely candidates. 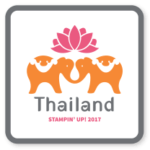 Check the calendar for more upcoming stamping events! After 5 fun days, my mom just left town last night. We spent pretty much every night crafting – trying new techniques, making projects, and making cards. So, I didn’t have much time to post to my blog (sorry!) but I did come away with a few neat things to show you! In the meantime, I figured I would post this small card I made this weekend as another way of using the word window punch. This is a quick and easy way to use the punch to add some interest without too much effort. I also pulled out my chalks for the first time to color in the bird, makes a nice light color don’t you think? To make this card, I used 5 different punches. 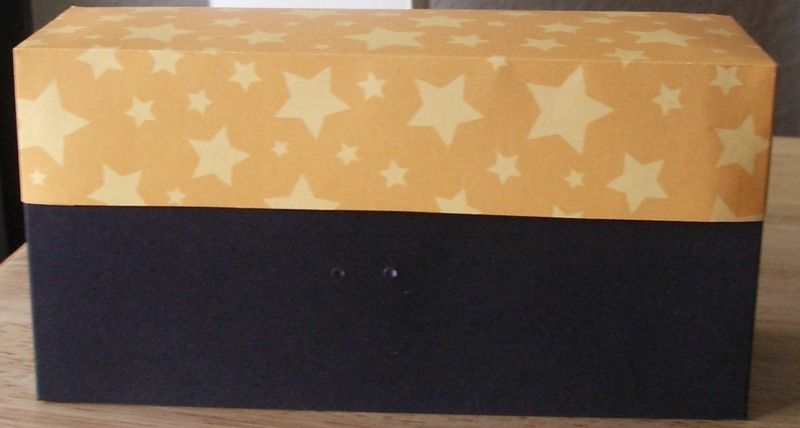 The card is actually very quick to put together because most of it is just punching and glueing paper.